Nightwatchers Omaha is the Nebraska chapter of Nightwatchers WorldWide, LLC. 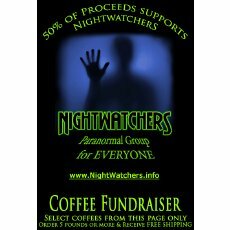 The Nightwatchers are a strong group of people that investigate the paranormal all over the United States and the World. 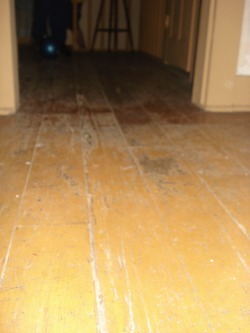 We offer free investigations and education to those who are in need of help with the paranormal. We will do whatever we can in a professional and discreet manner regardless of your race, religion, ethnic background, sexual orientation. If you feel that you are experiencing the paranormal and are in need of help please contact us. we offer you the oppertunity to investigate some of the most haunted locations in the world. Our teams main goal is to have fun investigating the paranormal and help those in need in anyway we can. 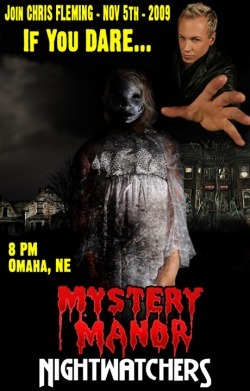 Our secondary goal is to work with other groups in the Omaha area (anywhere for that matter) to create a community of like minded individuals that will work together to advance the field of paranormal investigations. If this sound like something for you please get in touch! This is an intersting picture. I see the obvious leg of an investigator commin up the stairs, but I also see 2 legs wearing boots right behind the ball. When you zoom in it seems to be floating on standing on its toes? If you live in Omaha, NE or in the Omaha area and would like to join send us a email. A background check is required at and you must be at least 18 years of age. There is a one time fee for the purchase of a shirt which will be the actual "uniform". Our group is a "come as you are" type of investigational team. We encourage people of all beleifs and experience levels to be apart of the Nightwatchers family.